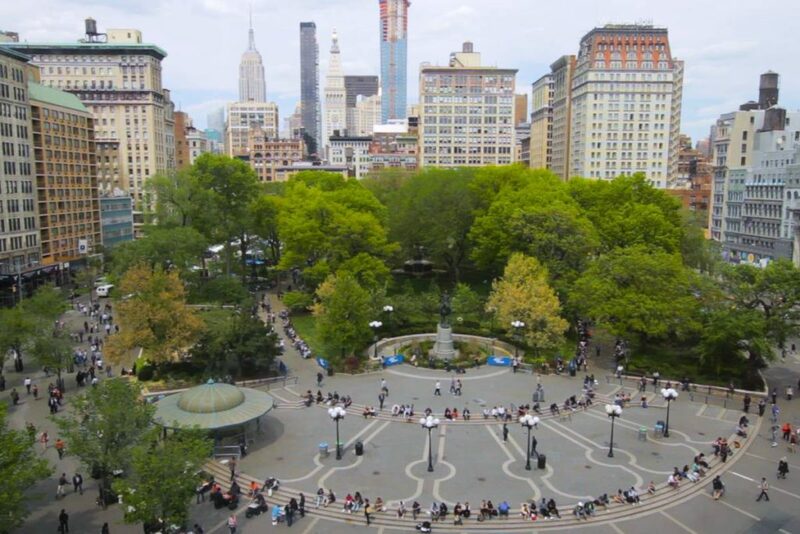 For years, Union square has been considered the epicenter of art, ideas, and entertainment. Stand on a street corner, and you may witness a barrage of young NYU students headed to class or even a club—depending on the day of the week. The vendors of the Union Square Greenmarket can be found selling plants, food and other trinkets to different customers. Restaurants line the sidewalks, urging you to come inside with the aroma of fresh food and delicious drinks. Skateboarders and bike riders wiz by at the speed of light, off to a new adventure in another part of the city. It’s all quite exciting, and it wouldn’t be difficult to find a New Yorker who can recount their own special memory of this famous intersection located at the center of Broadway and Fourth Avenue. The name derives from the meeting of two “principal thoroughfares” on the island of Manhattan. Scattered throughout the square are large statues of important historical figures. The southern entrance of the park features a statue of former President George Washington built by Henry Kirke Brown. The statue’s presence is in memoriam of an event that took place in the square during the time of the American Revolution. The sculpter also created the Abraham Lincoln statue that can be found at the north end and the latest work of art was modeled in 1986 by Karl Adolph Donndorf of world renowned activist Mohandas Gandhi. source- Robert Grau, The Businessman in the Amusement World (New York: Broadway Publishing Co., 1910), p. 2. Besides a great place to potentially get your big break, Union Square was churning with activism and protest. Assembling for rallies weren’t limited to present day. 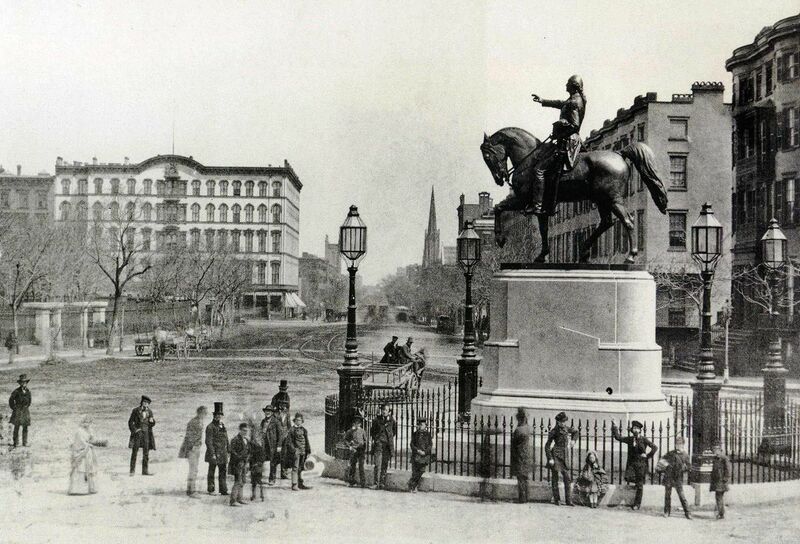 In 1882, Union Square hosted the first ever American Labor Day rally. The success, controversy and awareness brought on by this rally made Union Square the place where strength in numbers reigned supreme and the spot to assemble if you wanted your voice to be heard. Today, Union Square is the home to students, entertainers and business owners. It is the go-to spot for a picnic on a warm sunny day and one of the best places to pick out the perfect gift at the annual market during holiday time. Whether you’re grabbing some items at Trader Joe’s or enjoying the eclectic routines of the skateboarders and “ShowTime” dancers—Union Square has something to offer everyone.